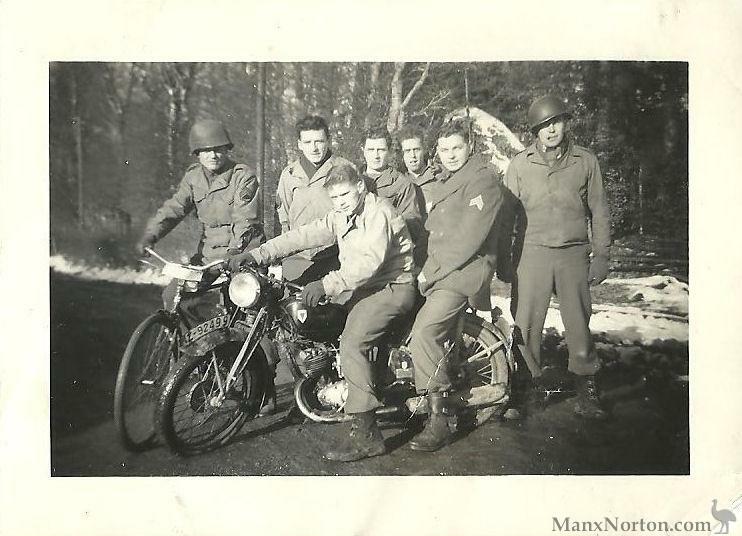 I recently found a picture of my grandfather (seated back) on a German motorcycle during WWII. I have researched the subject, and have found that it is definitely a DKW German motorcycle. I have contacted several museums throughout Europe, and some have emailed back with varying opinions, but no one has been able to identify this motorcycle for certain. Just wondering if you might have some insight. I am doing research on my grandfather and especially his time spent in WWII, and fitting this piece to the puzzle would be cool. Plus, my boys and I are actually thinking of trying to track down a model that is similar for purchase, even if we have to travel to Europe to get it! Thank you for your time.